From a birds eye view catching carp on a fly rod is not all that complicated. Once you look close every aspect has it's complexities and challenges but by concentrating on improving some core skills anybody can start to make their way from carpin apprentice to master. I am on that journey myself and expect to be for quite some time. 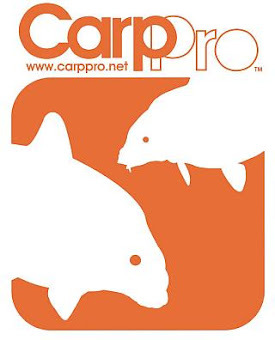 Here is my perspective on the core carpin competencies along with a skill rating and some additional information. I am sure that everybody has different opinions and some additional resources to share, please feel free to chime-in with comments! The journey to becoming a fly-carpin master starts in the same place for everybody and that is finding carp water. Fortunately carp are found everywhere. Carp inhabit pristine mountain lakes to delightfully nasty urban ponds and just about anywhere in between. Just about any body of water larger than a puddle below 7000 feet in the continental US has carp! Not all of these waters are conducive to fly fishing and certain regions of the country are better than others but the odds are good that you have great fishing within a few miles of home. You may already know some carp pros willing to help but one of the best (and funnest) methods for finding carp is to get out a map, pick a body of water close to home and start walking. An excellent time of the year to go scouting is when carp are spawning. In Colorado the spawn is usually somewhere between late May and early July. The spawn is not always the easiest time to catch carp but it is definitely the easiest time to find them since they will be shallow and making a ruckus. Pay attention to where they are spawning because the odds are good that they feed in or near the same areas for at least part of the year, particularly immediately post-spawn. The Mission - An example of how I might go about targeting a new area to scout with Google Earth. I probably walked 10 miles of shoreline that week and found nothing usefull but still had a blast. 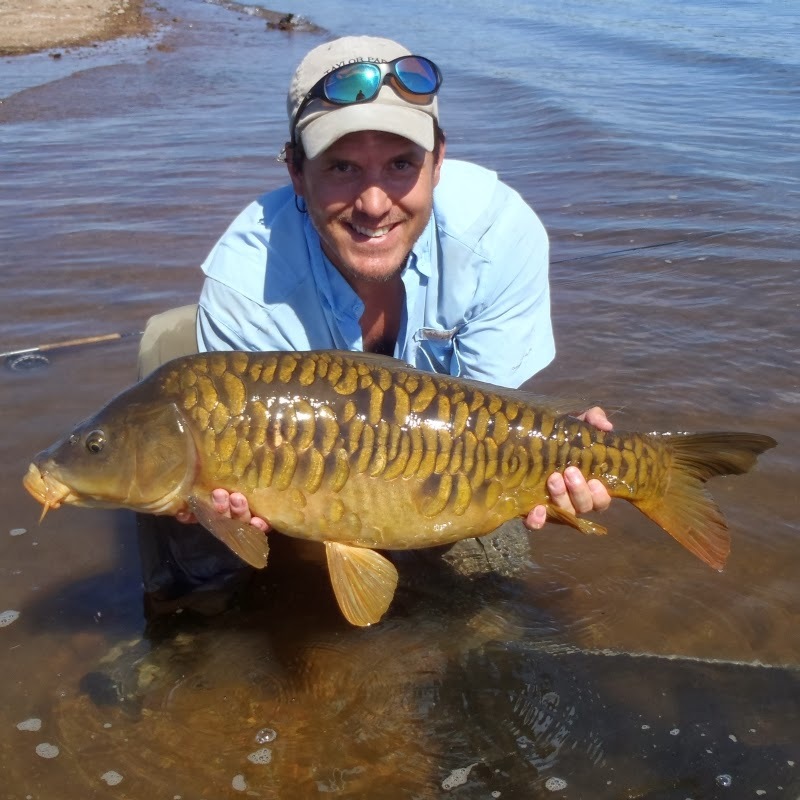 Fishing From Reservoir Dams - Rip-Rap reservoir dams can provide structure that attracts larger carp. This post explains what to look for in a productive dam. The West Bank of the Front Range - Why in the Denver Metro area I always start with the western shoreline on a new lake or pond. 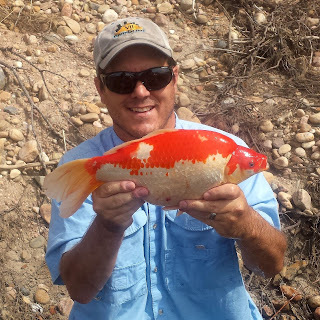 FishExplorer - Simply the best website on the planet for researching new water if you live in Colorado, Texas or Florida. Google Earth - I bet the first thing you did when you first found Google Earth was look for your house. Yeah, me too. A pitiful waste of some excellent carp-hole finding technology! Gear is not what catches carp or any other fish for that matter, but the right stuff can make fishing more enjoyable and productive. Polarized sunglasses are probably the most important piece of equipment. Fly fishing for carp is a visual game. Even in dirty water the ability to detect clouds of dust in the water or the flash of a tail can mean the difference between catching fish and just flailing. Rods / Reels: The right combination is helpful but not critical. It is possible to catch some decent sized carp on your 5-weight trout rod with a pawl-drag reel. Go on ahead and start there if that is what you already have, but eventually you will want a big-boy rod (6,7 or 8 weight) matched to the fish available in your area and a reel with a disc drag. Leader/Tippet: I personally use fluorocarbon leader and tippet in the 2 to 4x range but mono is probably fine in many situations. If you expect to be targeting large carp (say above 10b) either use a tapered leader without tippet or learn one of the 100% connection knots such as the Bimini twist tippet knot. The blood and surgeons knots are completely useless for any species of big fish on even moderately light tippet. Visit the video library below for instructions on tying the Bimini Twist. Terminal Knot: I have switched almost exclusively to the No-Slip Mono Loop Knot for carp. Not only is it significantly stronger than just about any other terminal knot I have experimented with, it is simple to tie and frees up the action of your fly significantly. Visit the video library below for instructions on tying this knot. With the possible exception of a net everything else is an accessory and more for convenience or fun than catching fish. How I Roll (My Fly-Carpin Kit): This post includes some information about the kit I usually favor when fly fishing for carp. Carp Kit Update: An update which includes a little more detail and includes some peices I started lugging around during the summer of 2011. Another Bimini Twist How-To Video: Another video by somebody else on tying the Bimini twist. Just in case mine is not to taste. The Last Link: This great article on MidCurrent by Art Sheck really gets into the nitty gritty about some different knots for attaching the fly. 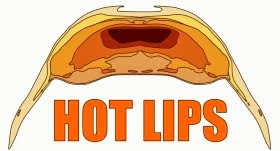 This information relates directly to mono, it might not apply directly to fluorocarbon. 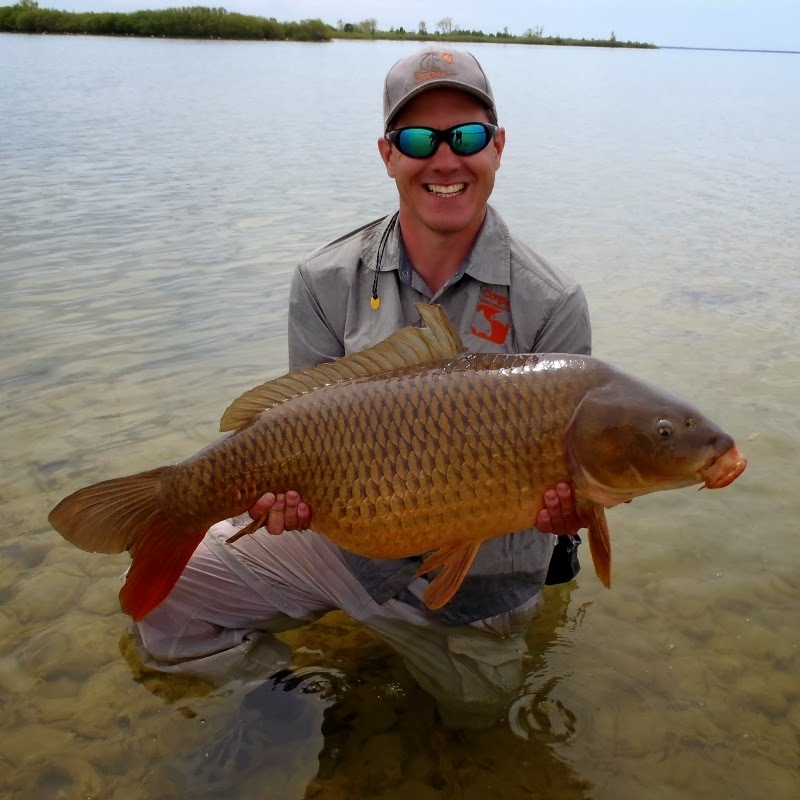 Carp are big, strong and arguably among the top American freshwater species to battle on a fly rod but landing carp is well down the list of the most difficult skills. Bad days happen but with reasonable equipment, knots and technique you should expect to land more carp than you lose. Landing Carp On The Fly Rod - Hooking a carp is the hard part. Unless you are going against the biggest and baddest carp landing them really shouldn't be. Picking the right fly is always a bit of a black art for any species. For carp it is often true that the weight, color and profile of the fly is as important as the specific pattern. Starting with weight it is important to carry flies with a variety of sink rates. Shallow tailing carp might require a light and slowly sinking fly while deep tailing or cruising carp might require something that bombs for the bottom. When it comes to color carp are pretty boring. Most flies use combinations of rust, brown, orange, olive, tan, grey or drab yellow. And BLACK!!!! You cannot forget black. Whatever you do, don't forget black. A final point I would like to make is that fly selection is significantly regional. Some great lakes carp are eagerly looking for 3" long gobies. Carp in some Montana rivers are reputed to be likewise predatory. You will find that carp fly fisherman in areas with more aggressive carp will espouse larger streamer-like patterns with significant action whereas carpers in areas with more passive carp might tend to favor generally smaller and less obnoxious patterns. The Fly-Carpin carp flies page - A comprehensive list of the flies I use and when / where I favor them. The 2012 carp fly swap page - A summary of all the great carp flies from the 2012 Fly-Carpin fly swap. The 2013 carp fly swap page - A summary of all the great carp flies from the 2013 Fly-Carpin fly swap. 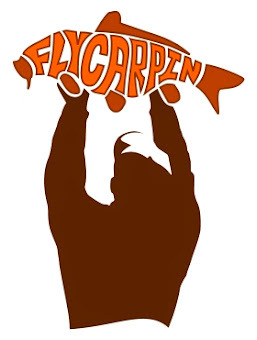 The 2014 carp fly swap page - A summary of all the great carp flies from the 2014 Fly-Carpin fly swap. 2014 Survey Results on Fly Preference - Survey data on favorite fly color, size and pattern from 210 carp fly fishermen. The Orvis Beginner's Guide to Carp Flies - Don't let the title fool you, this book by Dan Frasier is the most comprehensive resource on carp flies and carp fly fishing in existence for begginer and master alike. This is my personal favorite carp on the fly book, but I am very very biased because I provided many of the fly pictures. The Best Carp Flies: How To Tie and Fish Them - This carp fly book by Jay Zimmerman highlights a select assortment of carp flies in stunning detail including my Primordial Carp-Stew. One of the best step-by-step fly books I have ever seen for any species. Catch Fly Fishing Carp Selection - The biggest and baddest carp fly selection in the world is available from Catch. Check it out and be sure to let your local shop know what they are missing! This River Is Wild carp flies - A post with some of the most beautiful carp flies I have ever seen. Roughfisher carp flies - A selection of custom carp flies available for purchase from roughfisher.com. The missouriflies.com carp fly shop - This site has a massive selection of carp flies for sale. Finding carp in a receptive mood can be much more difficult than just finding carp. Fishing to negative fish is a common rookie mistake. As carpers gain experience they learn to quickly judge the mood of a carp based on body posture, location and time of year. If the mood is negative the best thing to do is move on in search of more receptive carp. Seeing carp is a subset of this skill that may deserve borderline master rating. It takes some people (me) a long time to get the hang of seeing carp. For others it comes relatively easy. Ten Keys to Carp On The Fly in the Winter: More and more of us are expand our horizons and seeking out winter carp. Hopefully this post helps a little! Weather and Fishing and Carp: One of the keys to finding positive carp is of course the weather. Not all of us get to pick and choose when to fish based on the weather conditions, but if you can stability is often the key. Shopping with Circulators - The first behavior to look for that identifies positive carp is tailing but do not overlook circulating or slow cruising carp that are on the prowl for a meal. In the right situation they can be just as productive. Seek and Destroy - This is a rare but very exciting feeding behavior that every carp fly fisherman should be on the look out for. This is primarily a regional feeding behavior but if it happens to occur close to home you are lucky really want to know what to look for. Trust me. Bank Fixated - Bank fixated carp are very vulnerable and easy to catch. You heard me. Easy. Fortunately it is pretty rare or I would have to take up something harder. Like bait fishing. Carp on The Flats - A how-to post that (among other things) talks about how to find the positive carp on large wade-able flats. Mixed Bag and Post Spawn - Spawn can be a frustrating time for many carp fly newbies. It seems to them like they should be catching lots of fish (and they are correct) but they never seem to catch anything. This post touches on what to look for when looking for positive carp in the spawn. It also discusses post spawn which is the best time of the year and makes any minor frustrations dealing the spawn well well worth it. The book "Carp On the Fly" by Barry Reynolds, Brad Beefus and John Berryman contains great information about identifying and understanding the various feeding behaviors of carp. You could list this book as a resource in all the skill categories but it is absolutely profound when it comes to categorizing carp feeding moods. The closer that you can get to carp the easier things get. Three of the more difficult aspects of fly fishing for carp are the presentation, detecting the take and setting the hook. All three of these get significantly easier at close range so it is critical to learn how to sneak up on carp. In difficult conditions this may mean that you have managed to get within 40feet. In easier conditions this means that you can literally reach out and touch them with your rod or even your hands! Sneaking Up On Sleeping Carp - Carp Ninja Style - A short video of sneaking up close enough to a sleeping carp to touch him with a fly-rod. The video stinks but the point is to not get intimidated by the prospect of getting close to carp because occasionally it is pretty easy. Early spring shallow sleeping carp, some slow cruising carp, carp in dirty water and hard tailing carp are particularly easy to get close to since their mind seems to be elsewhere. To Move or To Wait? - A post making the point that sometimes a good way to sneak up on carp is to wait patiently near a known feeding station and wait for them to come to you. I usually lack the patience but it can be effective. Carp Ninja and The Crouching Tiger Stalking Heron - This is an article style post that explores some of the details of becoming a carp ninja. There are many subtleties to how to present a fly to carp. The range at which the fly is presented, the sink-rate and any motion that is imparted to the fly all have a significant impact on how a carp reacts to the fly. Put the fly too far away and it will be ignored. Put it too close and you will either spook or unintentionally snag the fish. A fly that plummets for the bottom often elicits a trigger response take while at other times it seems as though carp decide that it is too much work to track it down. The alternative has it's own difficulties. It can be very difficult to get the correct timing and position to get a slowly sinking fly into the zone when carp are cruising or moving while tailing. The take is often more subtle and difficult to detect with a slow sinking fly. Often times a fly sinking directly for the bottom in a carp's feeding zone without any stripping or imparted action works the best, particularly for passive carp. At other times stripping the fly through the field of view or imparting just a little action on or after the drop is required. Learning to modify your presentation to suit the conditions and mood of the carp is one of the final steps towards fly-carpin mastery. Presenting The Fly to Carp - The Calm Before The Storm - As I have gotten better at not moving my fly (except when necessary) I have gotten tot he point where I feel an incredible sense of calm and asuredness just prior to and during the take. That feeling and the techniques associated with it has really increased my catch rates. Ambush Versus Attack - This compares two basic philosophies for approaching catching carp in a river. You can either be out in the open with long presentations or sneaking up on the fish and fishing short presentations from "ambush". Coaxing Carp On The Drop - This is a detailed look at what I call presenting "On The Drop". While getting carp to take on the strip grabs most of the glory and interest, presenting the fly on a dead drop is a must-have skill. NOTE: I also have a video specifically on the drag and drop presentation in the video library below. Beating The “Dinner Plate Paradox” For Tailing Carp - Much of the information available on the Internet contains a paradox that can be difficult to overcome when starting out. The first statement is usually that you have to get the fly in the dinner plate. The second statement is that you cannot spook the fish with the fly. These two requirements are in direct conflict and it can be very baffling as to how to resolve the issue. This posts explores some of the methods for beating the paradox. 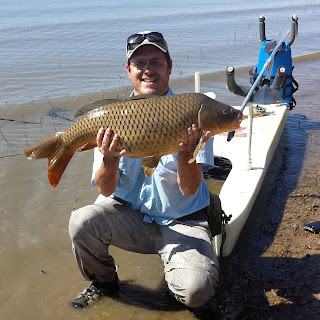 Carp on The Flats - This post is primarily involved in finding carp on large wadeable flats but also discusses a presentation method for aggressive flats carp keyed in on crayfish that I call the Drop-Pop-Pause-Set. This is a raised rod presentation that is very different from your classic rod-tip at water level stripping the fly in method. McTage's Theorm on Catching Boat-Loads of Carp on The Fly - Wherein I discuss my belief that mixing in presentations geared towards passive carp will always bring success - even if aggressive carp are available. Carp on the Fly: You gotta make em move - My favorite post from my favorite blog. The post is short but sweet but I feel like it has important things to say and says it well. Lessons From the Carp Lodge: Early Season Fishing--Episode #1 - This is a great video by Mr P that explores ways to present to fly at close range to some early season carp. Carp on the Fly: Stop Moving Your Fly - Another fine post from John Montana. The critical point here is that not moving your fly is a presentation that will usually work anywhere for carp in any mood. 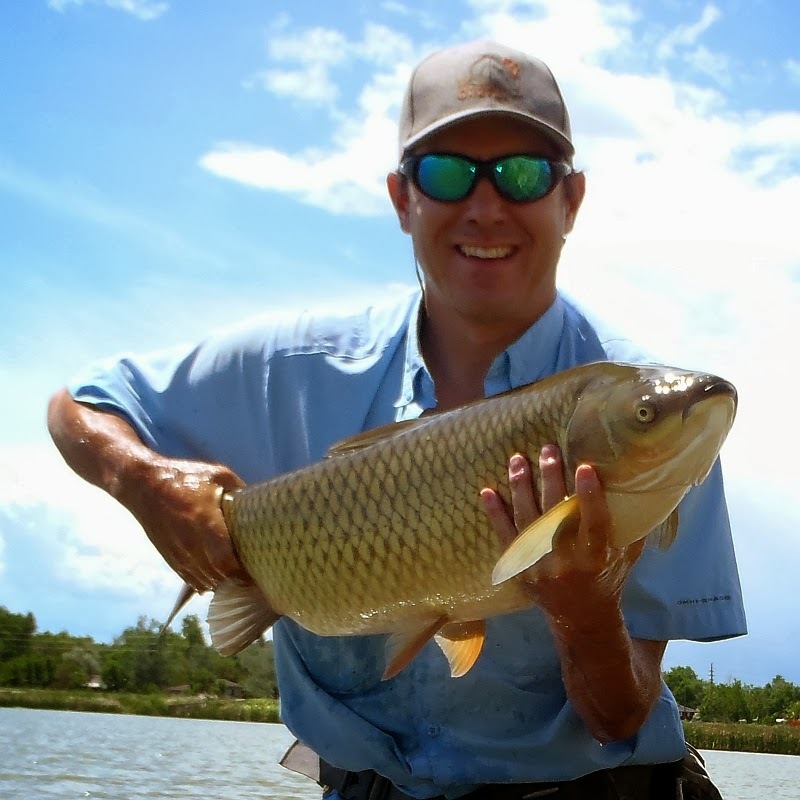 The Catch and The Hatch: Fly Fishing for Grass Carp - I should really have named this site fly-common-carpin because that is what I spend 99.9% of my time doing and that is what 99.9% of my advice applies to. There is another species out there though, and that species gets BIG. If you would like to take a shot at grassies, this is a good general how-to piece that can help get you started. I put it under presentations because that is the part of the article I liked the most. Carpin has gained a bit of a mystic glow over the years. The overall reputation of carp is that of a very difficult species on the fly. While these fish are more difficult than some other species, I believe that the reputation has been just slightly inflated. The exception would be detecting the take and setting the hook. I am convinced that most of us miss many more takes than we suspect. The masters miss less of these resulting in significantly more hook-ups. This is the skill that separates the men from the boys. MUST ALWAYS Strip-Set Is A Dirty Word - Where I discuss the fact that I don't just trout-set for carp sometimes. I trout-set for carp most of the time! None at this time. This is a difficult skill to lean, and I suspect it is a difficult skill to describe. While I know some people who have truly mastered this skill I have not run into much helpful information on the Internet or elsewhere. Hey McTage, Is there a leader recipe you recommend? 9' Rio flouro flex 3x leader cut back to about 8' with 2' of flouro flex plus 3x attached with a Bimini twist. Now, keep in mind that I spend allot of time on a river which is one of the reasons I like flouro because it sinks faster. Flouro may be overkill in many stillwaters but I fish it out of habit there too. Im glad I found your blog, I have a new found love for catching carp. I have yet to catch one on the fly but I will b trying hard this summer. Thanks.